Whether you’re not feeling challenged enough, not getting as fit as you’d like or just want to try something new in your swim sessions, front crawl drills can be an incredibly effective solution. They can help mix up a workout so that you’re not just doing laps, and help keep you engaged and motivated – no doubt you’ll already be including some in your sessions. 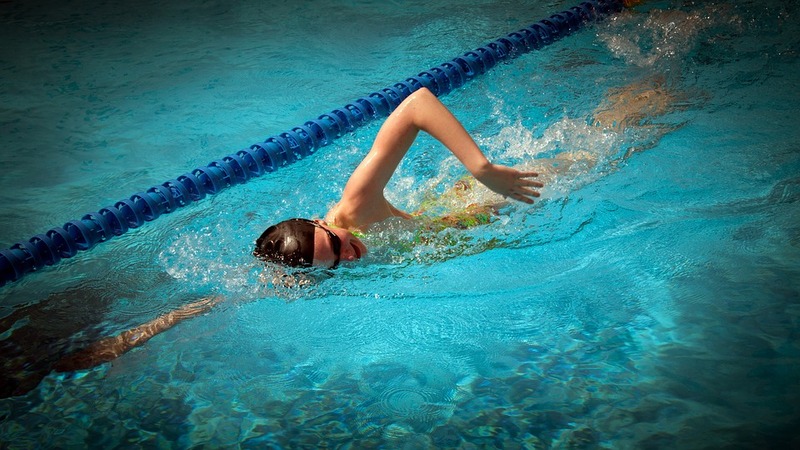 But often I’ve seen swimmers (myself included) simply repeating the old drills that we know, without considering the parts of our stroke or body that need extra work. The first thing is to figure out where you can improve so that you can go for the most effective drills for your need. Is it technique or strength? Are getting enough power from your legs for your effort? Are getting enough power from your arms for your effort? Are your abs engaged throughout? Are your legs kicking hard and consistently? Are you relaxed when you breathe? Is your body rotation smooth and fluid? Is your arm fully outstretched when your body is rotated to the side, for maximum reach? How often do you breathe? Is it too much or too little? How far do you turn on your side when you breathe? Do you over-rotate? Does your pull follow the classic keyhole/S shape? Where are your feet when you kick? Do they lag in the water or do they sit on top? Breathing is often a huge technique issue for swimmers; I’ve seen it cause problems countless times, and even cause a swimmer to lose the enjoyment of the sport. Bad breathing or feeling stressed when feeling like they can’t breathe enough can be easily solved with one thing: relaxing. It might sound daft to proficient swimmers who have never felt like their breathing was an issue, but for beginners, this is key. I find this crossed over into other sports too. Not being a very good runner myself, I always find feeling constantly out of breath quite unsettling, and I can imagine, underwater (where oxygen is less readily available), that new swimmers could feel just the same. But breathing well in any sport, including swimming, can be done poorly by even the best – so understanding and focusing on your breath is key to good form. This really isn’t catch up, but simple one-sided swimming, but you’ll see why it has its title(s) in a second. Like in catch up one arm will always be extended, but this time you will twist to lay on your side and stay there. With one arm extended in front, the other will carry on the stroke as normal but the vital part is that your mouth will be out of the water the whole time, your head facing upwards, as comfortably as possible. The idea is that you will glide along, able to freely breathe, and your arm will windmill three strokes before switching sides. Allowing yourself to relax and enjoy this exercise is key. Enjoy the free breaths, enjoy the water, and enjoy paddling yourself along with one arm. Once you’re happy, move the strokes to change sides every two, then everyone. There is a lot of twisting with this one! Finally, try your normal front crawl, and intersperse some of these free breathing moments into your lengths. Once you feel comfortable with the knowledge that at any time you can turn and breathe freely, whilst relaxing on your side, you will begin to relax and enjoy your swimming. For Pro Swimmers: We’re all taught that we should breathe every three to keep an even stroke but of course, when competing, winning means efficient swimming. 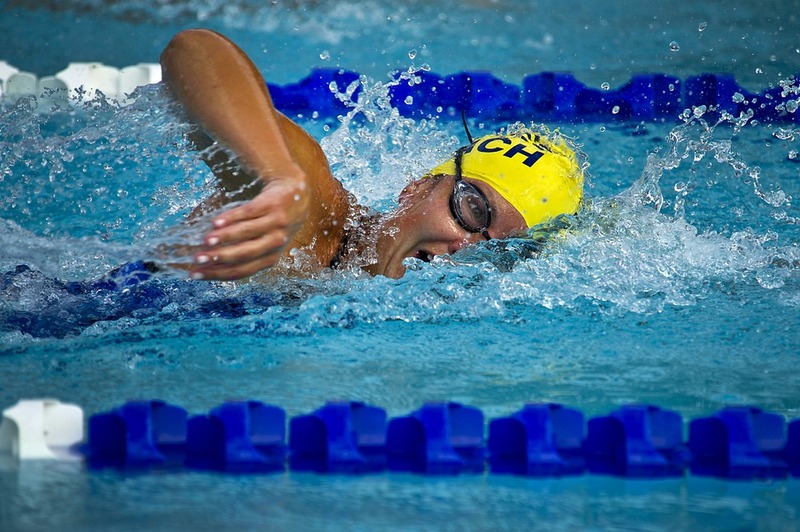 We can actually breathe more often or less frequently than every 3 strokes, but this is to your discretion – I often see sprinters barely breathe at all in a 50M race, whilst in longer races some swimmers can build a better pace breathing just to one side one way, and the other on the way back. However, coming back to efficiency, we are often not taught how to most efficiently take a breath. What the more advanced swimmers get to learn is that because of physics, you can actually breathe with half your mouth still in the water. It sounds wrong, but it works. This is because, when you are swimming in a direction, the water is flowing past you so if you open your mouth at speed, only minimal water will go in, and this will only be to one side of your mouth. This way you can still breathe and expel any small amount of water that leaked in as you swim and exhale. Try it! Try it alongside your normal swimming, but especially try it during sprints. The idea is that you have to spend less energy and waste less time rolling your body to breathe, so if you can perfect this technique for races, you’ll literally be onto a winner! Of course, these 5 exercises are targeting some of the key ways you can strengthen your body and improve the most vital part of your technique, but there are many more out there for working on the other aspects we didn’t get to cover! Let us know which part of your swimming technique you’d like us to focus on in our next article, or which muscles you’d like more drills for (eg. arm, legs, abs) – or even which particular stroke you’d like some exercises for next. We hope you enjoy your next session!